A black pupil and topaz iris stares down at you. A rim of white circles both of his irises, a condition known in humans as Arcus senilis, commonly appearing in the elderly as a result of elevated cholesterol. The condition is noted in older Asian elephants, but no similar survey exists for African elephants. In humans the white ring is caused by low eye pressure. 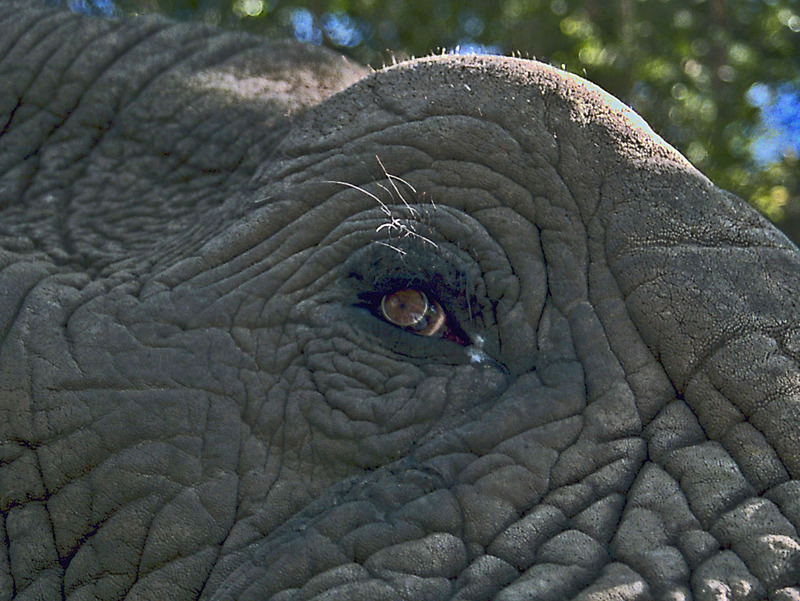 Since this is a young elephant, perhaps that’s what causes the rings around his eyes. Or maybe not; no one knows.